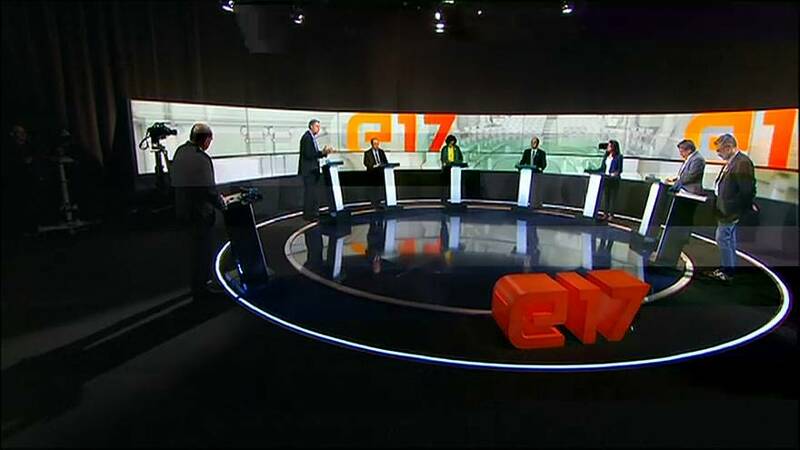 The final televised debate among Catalonia's political leaders - at least those not in jail, or self-imposed exile - was a heated affair. Insults were thrown among party representatives reflecting the narrowness of the polls. One taken after the event showed the outcome of the December 21 election is tight with those supporting independence and those wanting to remain part of Spain as polarised as ever. "I think the best alternative to separatism is not inaction it's reform. The separatists have not been able to convince everyone of their standpoint and with Catalans having been put through the mill over this I believe that it's time we left the independence process behind and started a new political era of reconciliation in Catalonia." Former Catalan president Carles Puigdemont is campaigning from self-imposed exile in Brussels and fellow independence leader OrioI Junqueras is doing so from jail. Thursday's election is expected to attract a record turnout with pro-independence Esquerra Republicana (Republican Left / ERC) running neck-and-neck with pro-unity party Ciudadanos. Both are are likely to fall far short of the 68 seats needed to hold a majority. Catalonia has been under direct rule from the national government in Madrid since its parliament declared independence on October 27.